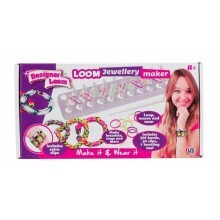 Serious loomers can create a whole host of super wide colourful projects with the Super Cra-z-loom! 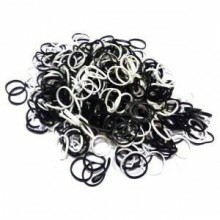 Theres so many designs to create! 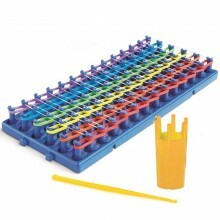 The unique 6 row loom means now you can make super wide cuff bracelets, bookmarks, bags, mobile phone cases and more! 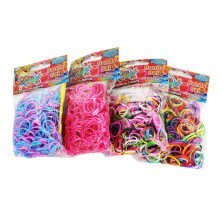 1 x Packet containing 500 Bands Pastel Pink, Blue ,Purple and white. 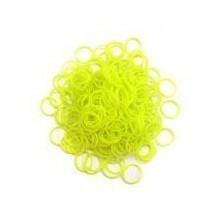 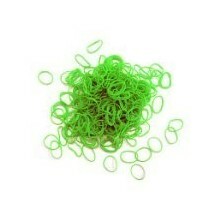 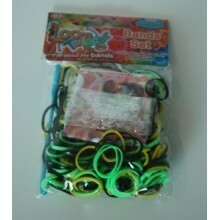 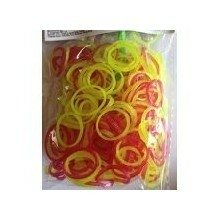 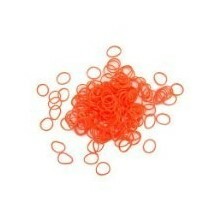 1 x Packet containing 500 Bands Neon Yellow Pink and Orange. 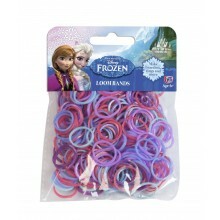 The perfect colours to make your favourite Frozen Characters (everyone has a favourite, right?) 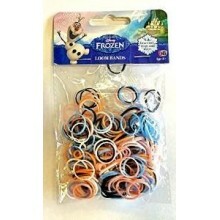 this pack contains the colours to make everyones favourite Snowman Olaf.